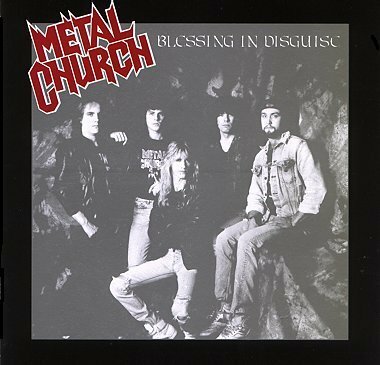 Blessing in Disguise is the third studio album by American heavy metal band Metal Church, released as a vinyl LP in the summer of 1989; the CD followed in 1990. It was the band's final release on the Elektra label. Much to the dismay of some Metal Church fans, this was the first album not to feature the vocals of David Wayne, due to his departure to form the band Reverend. This release featured new vocalist Mike Howe (ex-Heretic) and guitarist John Marshall, who took over Kurdt Vanderhoof's position. Kurdt Vanderhoof had produced Heretic's final album Breaking Point previously. It seems that is how Mike Howe came to the attention of Metal Church. Ironically, David Wayne's new project was made up of the remaining members of Heretic.